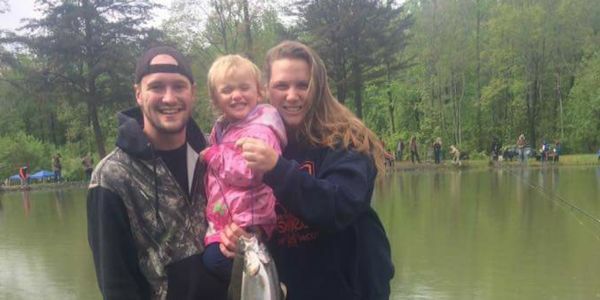 Cody Binkley and his Fiancee (Mary) and Daughter ( Madelyn) who HAD A LIFE VEST ON!! !and Macy (woo-e) their dog set out on a Family Adventure Boating. May 7 2018.Unfortunely a fatal tragic accident happened. The Boat captazied all were thrown from the Boat because of the Dock Street Dam. They did not see the Dam! The Dam has killed 30 people! And the City of Harrisburg PA is doing NOTHING about it! There were NO lite up signs to say Dam ahead! All 4 were in the Drowning Machine! 3 lives were taken that night.Mary,Madelyn,Macy. Cody was the only survivor. After 3 months the DA is charging Cody with 2 counts of Homicide and Involuntary ManSlaughter and Endangerment of a Child and 13 misdemeanors. Cody Binkley loved his Girls! People who know Cody & knew his Family knows this was a ACCIDENT!